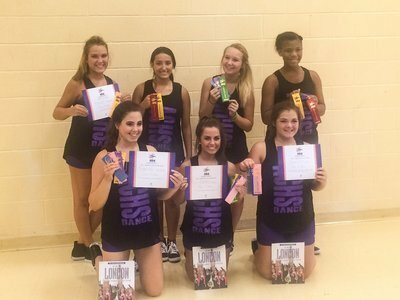 The ACHS Dance Team received an invitation to dance in a Walt Disney World Parade in early December after receiving a Superior rating on their performance from their camp week. The ACHS Dance Team received a bid to participate in the NDA nationals in Orlando in early March. Serenity Rorie, Mallie Kate Williams and Kameron Wood received the All-American ribbon and were invited to travel to London, England and march in their New Year's Day Parade.